The Victorian classical burlesque was a popular theatrical genre of the mid-19th century. It parodied ancient tragedies with music, melodrama, pastiche, merciless satire and gender reversal. Immensely popular in its day, the genre was also intensely metatheatrical and carries significance for reception studies, the role and perception of women in Victorian society and the culture of artistic censorship. 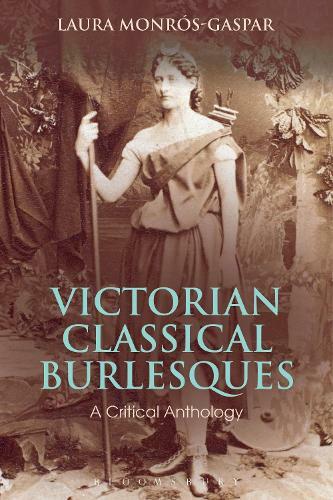 This anthology contains the annotated text of four major classical burlesques: Antigone Travestie (1845) by Edward L. Blanchard, Medea; or, the Best of Mothers with a Brute of a Husband (1856) by Robert Brough, Alcestis; the Original Strong-Minded Woman (1850) and Electra in a New Electric Light (1859) by Francis Talfourd. The cultural and textual annotations highlight the changes made to the scripts from the manuscripts sent to the Lord Chamberlain's office and, by explaining the topical allusions and satire, elucidate elements of the burlesques' popular cultural milieu. An in-depth critical introduction discusses the historical contexts of the plays' premieres and unveils the cultural processes behind the reception of the myths and original tragedies. As the burlesques combined spectacular effects with allusions to contemporary affairs, ambivalent and provocative attitudes to women, the plays represent an essential tool for reading the social history of the era.